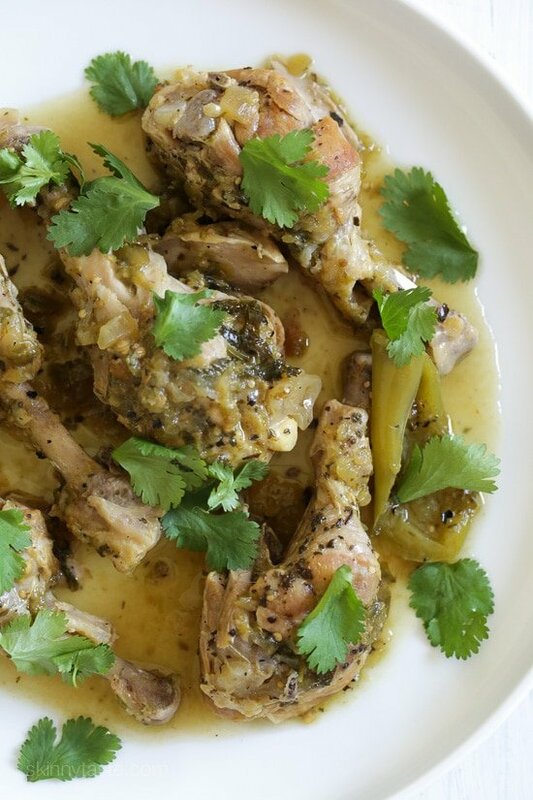 An easy Mexican-inspired chicken dish made with just a few ingredients! The chicken comes out so tender it literally falls off the bone! Serve this over rice with a salad on the side (pictured here is my spiralized carrot salad) and call it a meal. I’ve been getting lots of requests for more Instant Pot recipes, now that I am done with cookbook testing I will be adding more recipes here. If you don’t have a pressure cooker, no worries! I’ve included slow cooker directions too, but this can also be simmered, covered on low on the stove until the chicken is tender, about 35 to 40 minutes (you may have to add a little water). Season chicken with vinegar, salt, pepper and oregano. Marinate a few hours if time permits. Set the Instant Pot to saute, when hot add the oil and the chicken to brown on both sides, about 4 minutes on each side. 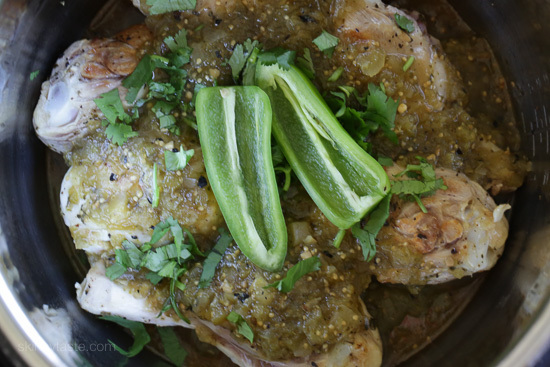 Add the tomatillo salsa, 2 tablespoons of the cilantro and jalapeno, cover and cook on high pressure 20 minutes, until the chicken is tender. 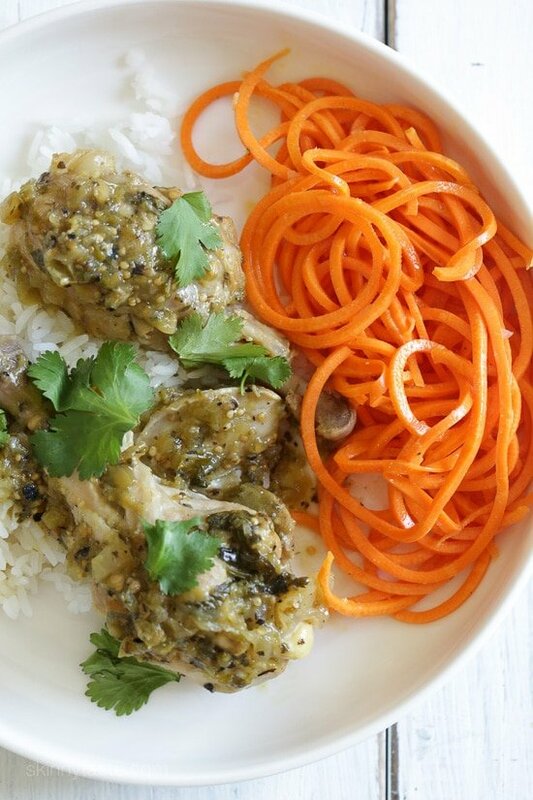 When the pressure releases, garnish with cilantro and serve over rice if desired. Slow Cooker Directions: Place ingredients in the slow cooker and cook low 6 hours or high 3 hours. Stove Top Directions: Follow same directions, add a little water and cook covered on low until chicken is very tender, 30 to 40 minutes.